They ahve some problems with independence claims (as it was paid comparison). But watching spectrums and color accuracy is interesting. Does anybody know, how the LED lights from the special deals would look like on this test? What about the DN2-T&D 900LED bicolour, is it the same as the Litepanels 1x1? DN2 are highest quality Chinese led lights, as far as I know. Bi-colour leds must have better quality in intermediate temperatures. Also you can see that they deliberately choose 3200K, as it gives their light clear advantage. I have the 321 Bi light and a 508 on it's way. Yes there are big issues with all LED, the tungsten setting has quite a green spike. If you ever use these lights in conjunction with others then you have to be mindful to balance them. I've found a combination between the two settings gives the best colour results but even so they're still LED lights. If you compare them to daylight or Kinos then both of those will render skin tones better. Having said that, they're battery based, very versatile and useful tools. I'm not sure i'd use them as a key for anything. Either backlight or perhaps to add light in daylight situations. I do think more work could be done on the soft plastic filters, perhaps different degrees of softness and also the ability to add a simple soft box would be ideal. The basic diffusion isn't really enough. Someone can make a nice little business with clip on soft boxes for these kinds of lights. Especially if they allow for sliding in gels and things. 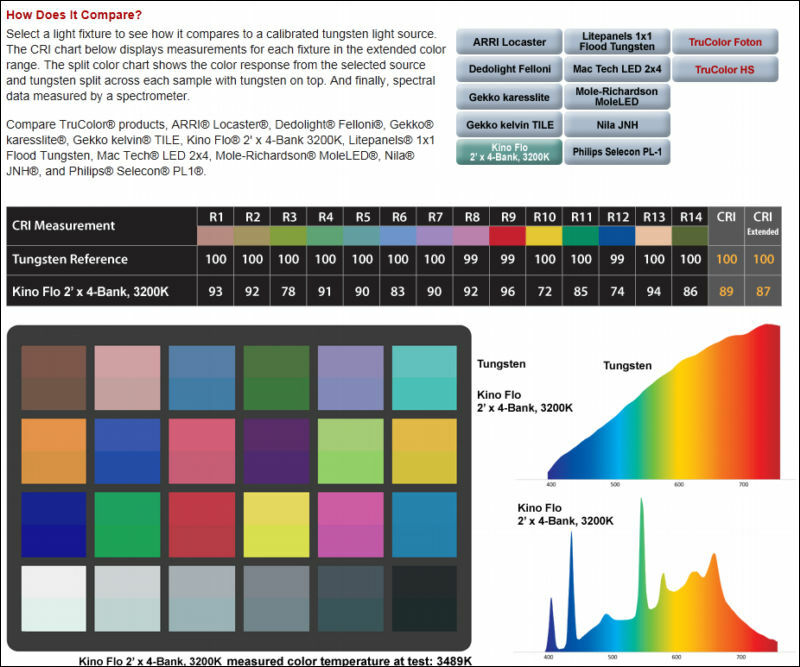 Lee filters have a range of filters especially for LED lights, taking into account they unique light spectrums. That's worth a look too. @paulinventome there are actually softboxes for the 312 Leds. Found them on the Chimera website. They come with a foldable mount. I chatted with one of Chimera's employees the other day and she said their new micro softboxes would give much softer and more controlled light. I am waiting for some sample photos or clips though.